What is it like to live below the poverty line in your community? 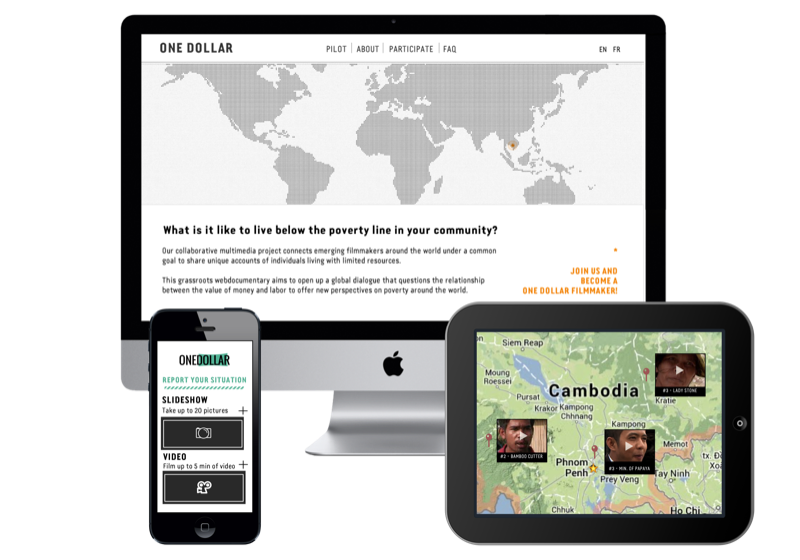 Our collaborative multimedia project connects emerging filmmakers around the world under a common goal to share unique accounts of individuals living with limited resources. We will collect these short, five to seven minute videos—produced on a local, grassroots level—and publish them here, for the world to see. The mosaic of portraits will help us learn about transversal issues that affect poor communities as we begin an online dialogue where we can define areas of need and be inspired to action. We are invite you to join the conversation and participate in our webdocumentary! Yem Thol, a 56-year-old woman, lives in the White Building in Phnom Penh after surviving the Khmer Rouge regime. 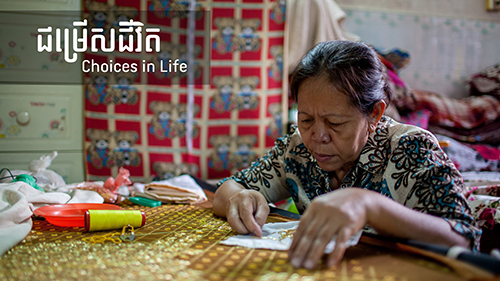 She makes a living by embroidering Khmer traditional costumes with her daughter, Chandin, earning meager money. Phal Srey is living with her children in a temple in Phnom Penh. Her husband, who is working in the province, hardly sends her money. Since she could not study when she was young, her commitment is to send her children to school every day. In order to make it possible, she has been selling cakes on the street for 20 years. She works all day long and earns barely enough to buy some food and pay the water and electricity bills. When she cannot sell out all her cakes, she gives them to the neighbors for free. Sho, a 45-year-old father originally from Prey Veng province, lives today with one of his sons alongside the old railway in Phnom Penh. They make a living cutting grass. Selling 10 to 20 bundles per day, they earn hardly 2 to 4 dollars. Sho, who has left his wife and another son in Prey Veng, cannot afford to send his children to school. He observes: “We are living eating things that rich people would throw away”. Sophea, a 13-year-old-boy, lives with his family in the White Building in Phnom Penh. His father repairs shoes and his sister sells eggs, both on the street, to make a living. With the couple of dollars that his family earns daily, the father cannot even afford breakfast – let alone his son's education. Without money, Sophea cannot go to school, although he wears his school uniform every day. In order to get the money, Sophea plays the “shoes game” with the neighbors' children. Yey Lon, a 58-year-old widow, lives in a tiny mezzanine room with her son in Phnom Penh. As her son does not work, she struggles to make a living for the two of them. She spends her days doing the laundry and “coining” in different parts of the city but despite her hard work, she earns less than two dollars per day on average. As the price of the rent is increasing, she is threatened with eviction by the landlord. She also has to buy expensive medicine for her son. She is getting older, her strength is failing and she is afraid of being unable to pay the rent and the other daily expenses anymore. Souem Mao, a 57-year-old mother, now lives alone at Krung Tnorng, in Takeo province. She has been working there for more than 28 years, but as price of life has risen, she has to work harder and harder to survive. She spends her days collecting red ants in the trees to sell them to the villagers or to exchange them for rice. Earning less than one dollar per day, she also washes dish and plants rice in order to cover her daily expenses. She wishes she had enough money to join her children in Thailand. Despite harshness of life, she keeps hope thanks to pictures of her family and the presence of her neighbours. 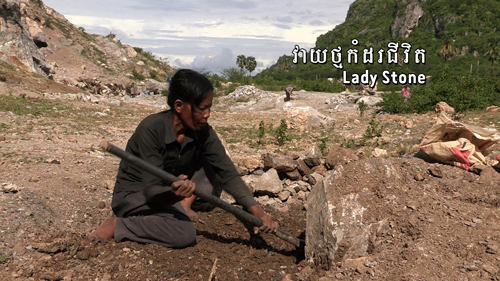 Touch Sokea, a 34-year-old divorced mother of two children, is from Kompong Speu province. 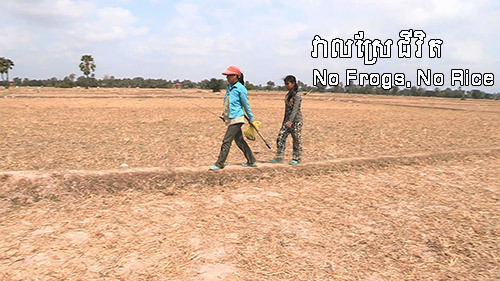 Without any financial support from her ex-husband who was violent, left her and remarried, Sokea catches frogs and crabs in the rice field for a living. By exchanging frog meat for rice from villagers or selling them cheap, she can barely feed her children. Sokea works hard and spends the little money she earns very carefully, because she has a dream: to give her 13 year-old daughter a higher education. 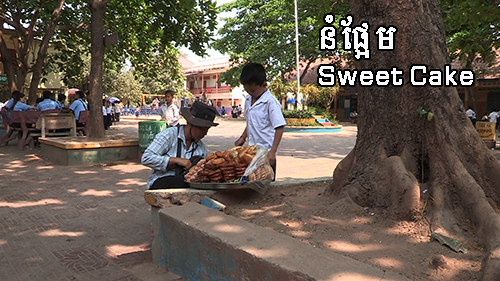 Da, a 25 year-old man, left his home village in Svay Rieng and moved to Phnom Penh when he was 16. His passion is boxing. He started to learn this art of fighting in a club located in the Old Stadium. One year later, he fought his first match but without fear. After numerous fights on the ring, he finally became a professional boxer, but his salary is too meagre to feed his aunt in his hometown. He needs to sell sugercane juice on the street for a living. Chre, 12 year-old boy, is a tour guide. 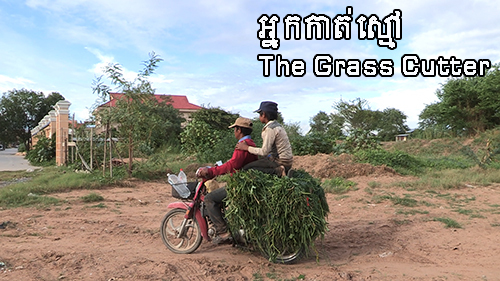 Living on a small mountain known of its fairy tale and Khmer Rouge history, he guides local tourists and earns little money to live. After his mother’s death when he was 2 years old and his sister’s migration to Thailand, he is the sole person to take care of his sick father. Without formal education, Chre knows that his capacity as tour guide is limited. Despite all difficulties, he never gives up dreaming to go to school like other kids, and to become more professional tour guide with better knowledge. At the feet of giant mountains in Southern Cambodia, in the white dust and under a leaden sky, Nuon does her best to reduce rocks into pebbles and sell them for thirthy-five cents a sack. She used to own land but malaria carried everything away: her money, her rice field and her husband. She plans to seek employment in the capital, Phnom Penh, either working in construction or washing dishes. She would do anything to regain hope. 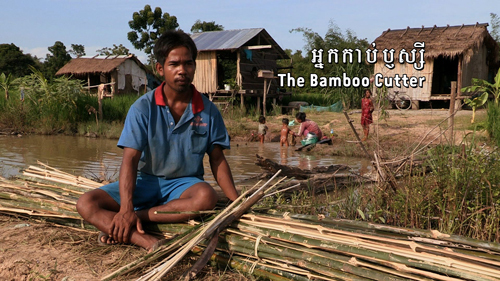 Thai and his wife Ny are bamboo cutters in the northwest of Cambodia near the Thai border. 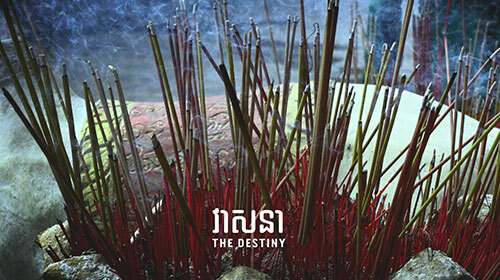 Every day, they risk their lives by cutting and selling bamboo gathered from the worst land-mine zones in the country. 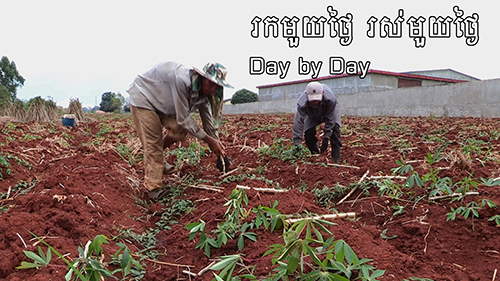 With limited options and pressing needs to feed their family, they continue to work, knowing that death perhaps awaits them with their next step. Mao Bora lives and works in Phnom Penh, where he sells papaya. 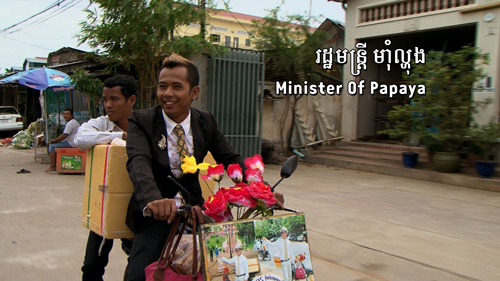 With his sense of humor and brightly colored motorbike, Minister of Papaya brings energy to his everyday life, showing us that even the simplest actions can inspire hope. This project presents an opportunity for you to connect with other filmmakers and multimedia journalists locally and internationally. Bring your creativity to the One Dollar Project and increase awarness about poverty in your own community. Discuss and share ideas brought up through these portraits to help broaden our understanding of global poverty. You have five to seven minutes to show us how one working individual in your community copes with poverty. Read More. Get a quick update when a new portrait is available. (link: archives text: See previous issues). We need your help getting the word out! Follow us and share our project. Excited about One Dollar but want more information? Send us a message.